Typically the best time to photograph from the Rock Cut along Trail Ridge Road is in the late afternoon. With that said, if conditions are favorable, sunrise from the Rock Cut can also be quite astounding. 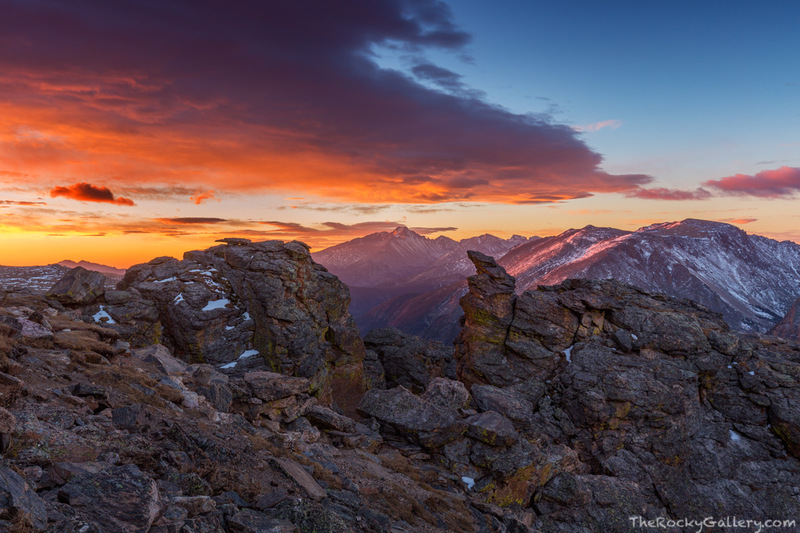 With a commanding view of Rocky Mountain National Park, a lenticular cloud setup above Longs Peak and exploded with color as the sun rose to the east of Rocky Mountain National Park's highest peak. Photo © copyright by Thomas Mangan.